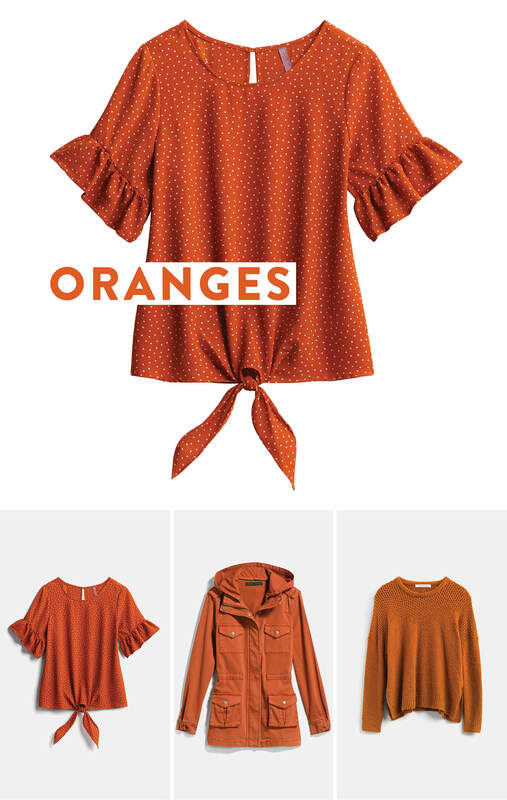 Every fall, nature puts on a dazzling color show, and this season’s fashion trends are following suit with ultra-modern hues in a mix of bright and classic fall tones. 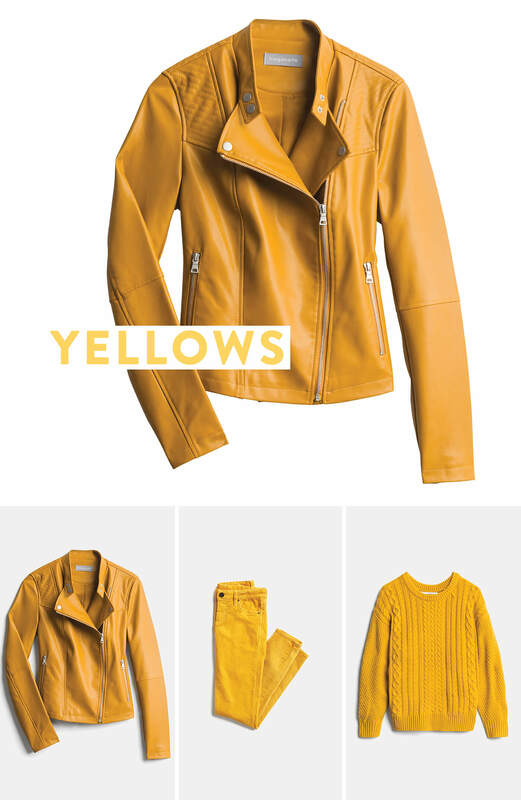 In addition to timeless favorites like burgundy and navy—radiant surprises like mustard yellow are making a spectacle this season. 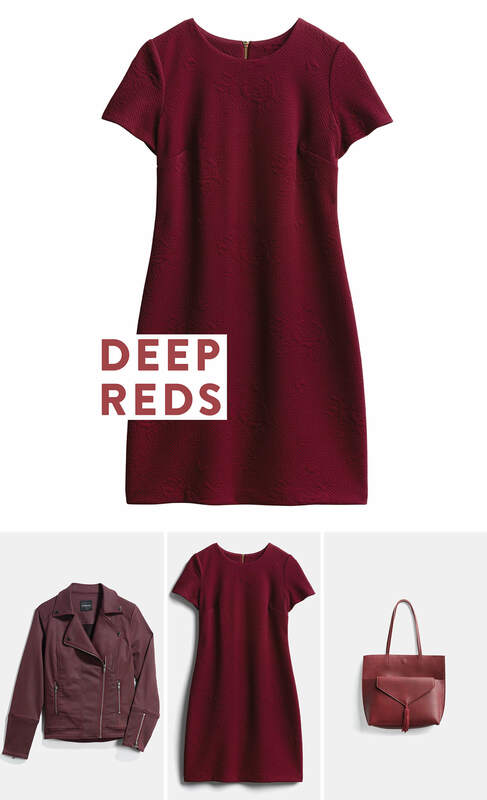 Keep scrolling to get a peek at the season’s best hues! 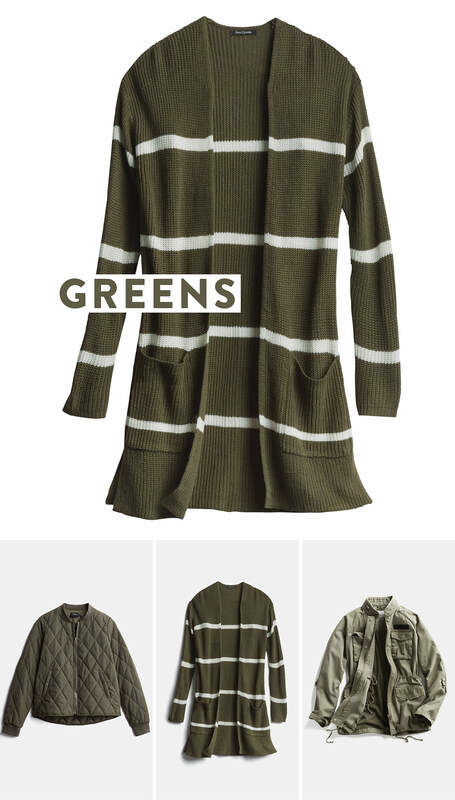 The staying power of olive is in its versatility. It can be worn as a neutral and is a complementary color to nearly everything from cream to salmon, camel to black and all colors in between. Like a fine wine, burgundy is an enduring favorite in cooler months. This reddish-purple hue looks sultry against warm undertones and striking on those with cooler coloring. Pair it with blush-toned pieces to create a romantic look. When you want to be seen, reach for brights like mustard yellow. 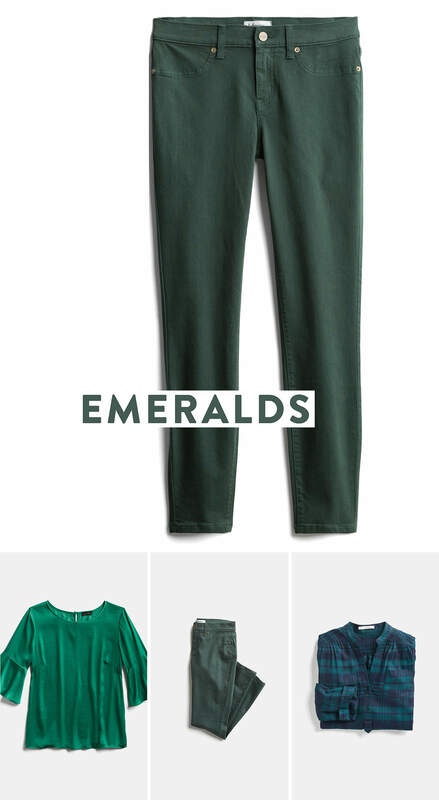 This festive color is a nod to 80s pop culture and is sure to stand out and make a statement. Burnt orange brings a fiery-earthy warmth to your fall wardrobe that renders you aglow. Navy or peach play well with this color, depending on if you’re going for a saturated or lighter color aesthetic. 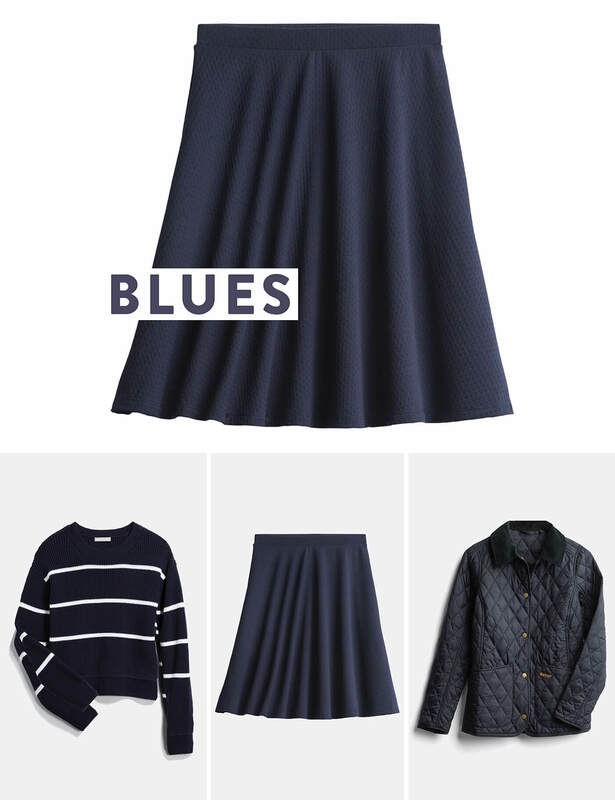 Navy is not only universally flattering, but carries a classic elegance, especially when paired with burgundy loafers or booties. Go monochromatic by including other lighter blue pieces for a cool, refined look. This rich jewel tone exudes luxe sophistication. If you want to go heavy on the drama, incorporate gold statement accessories, creamy sweaters and chocolate browns boots into your look. 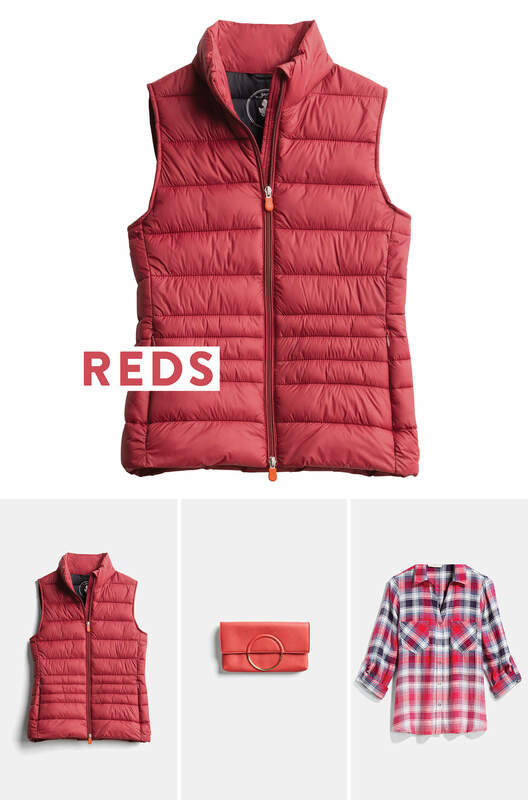 An intensely energizing color, red brings the heat to your chilly fall days and nights. Add some sizzle to your wardrobe this season and steamroll right through your day. Ready to try a new color this fall? Schedule a Fix and request one (or more) of these fall colors!